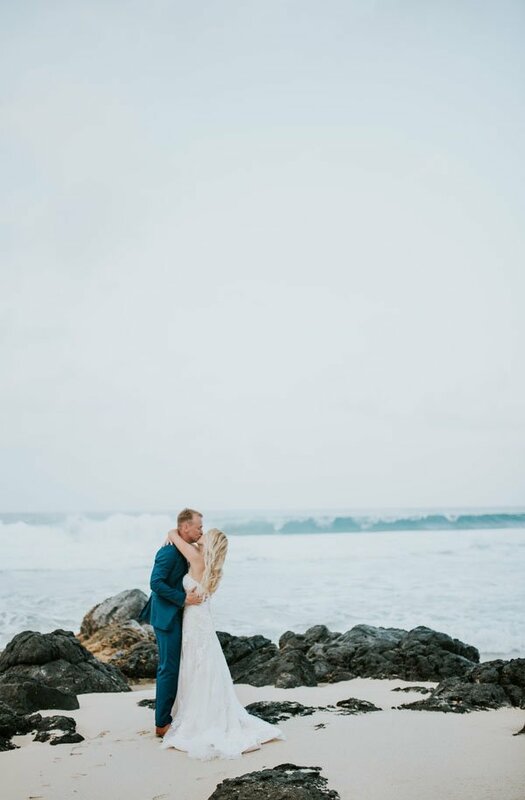 It wasn’t until we visited Hawaii a couple months ago that we really developed an appreciate for just how amazing it is. 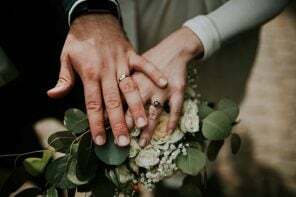 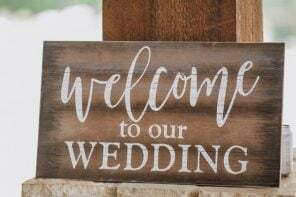 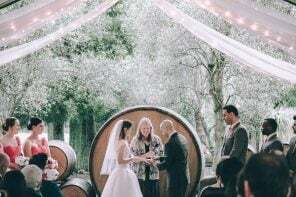 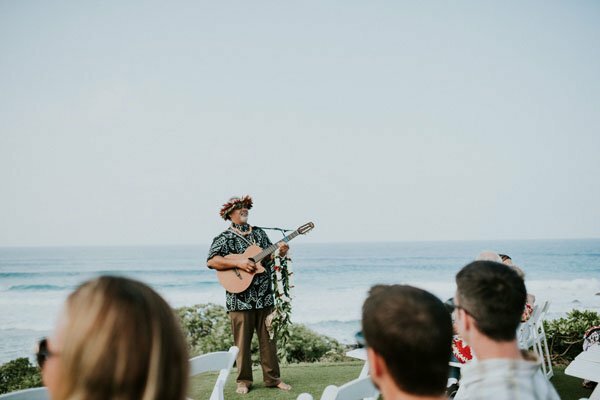 The islands have so much natural beauty that it’s the perfect location for a small or large wedding, and incorporating local traditions and styles is a definite must. 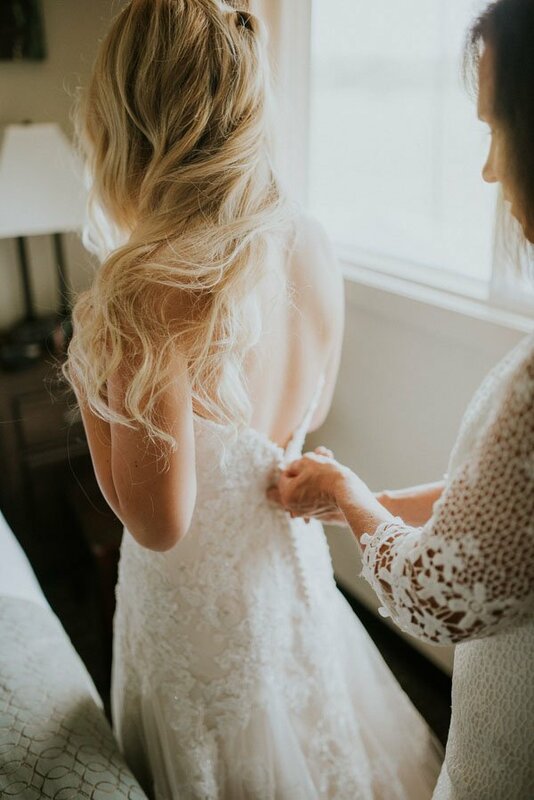 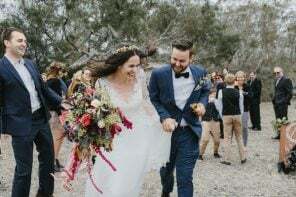 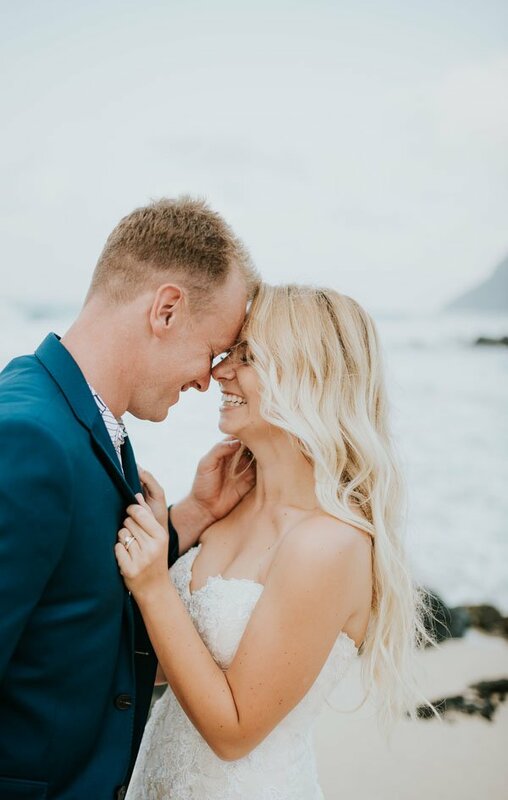 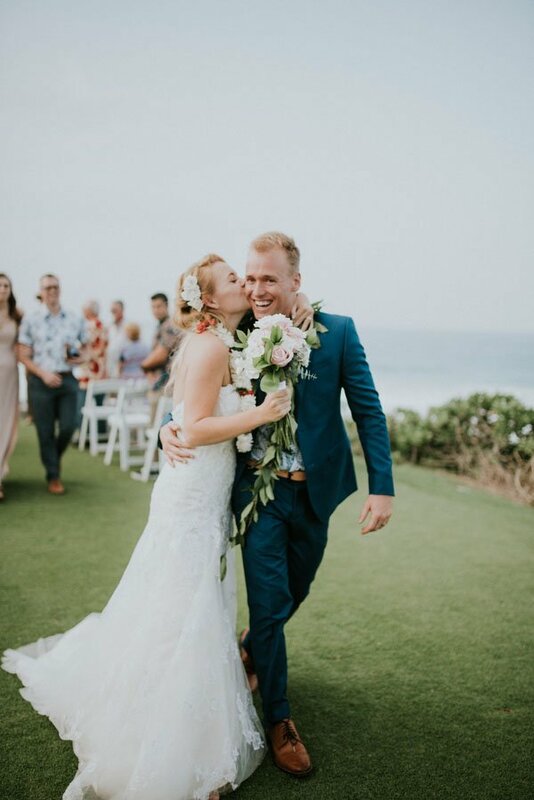 Which is why we are so head over heels in love with this Tatum and Jack’s wedding, captured so beautifully by from Svetlana Sauer Photography. 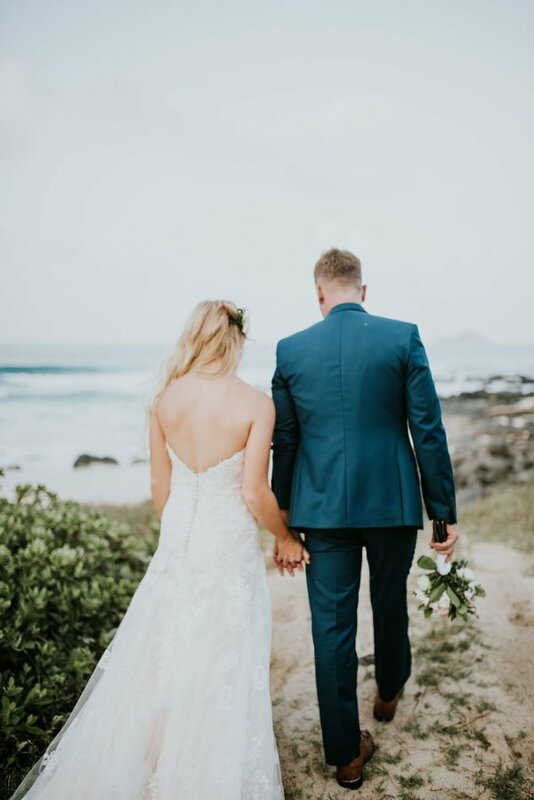 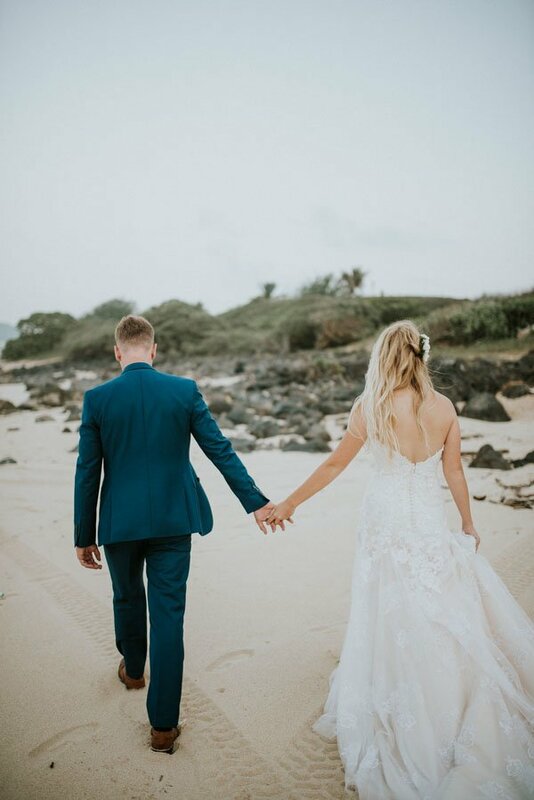 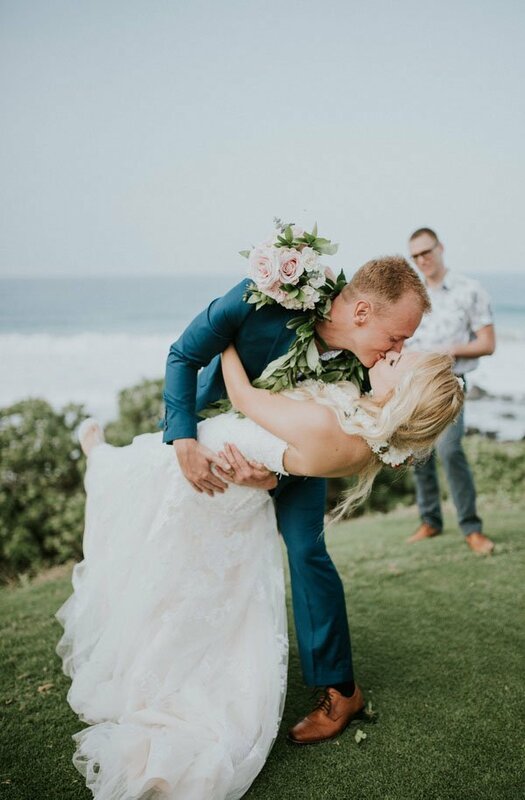 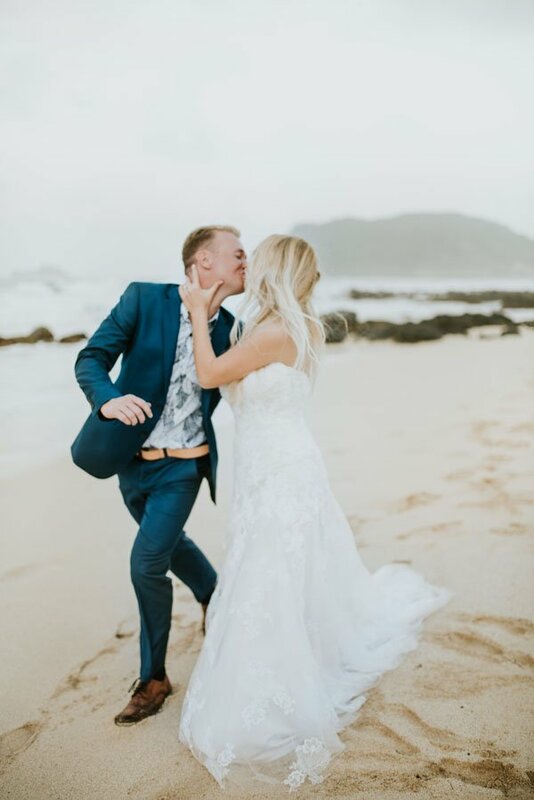 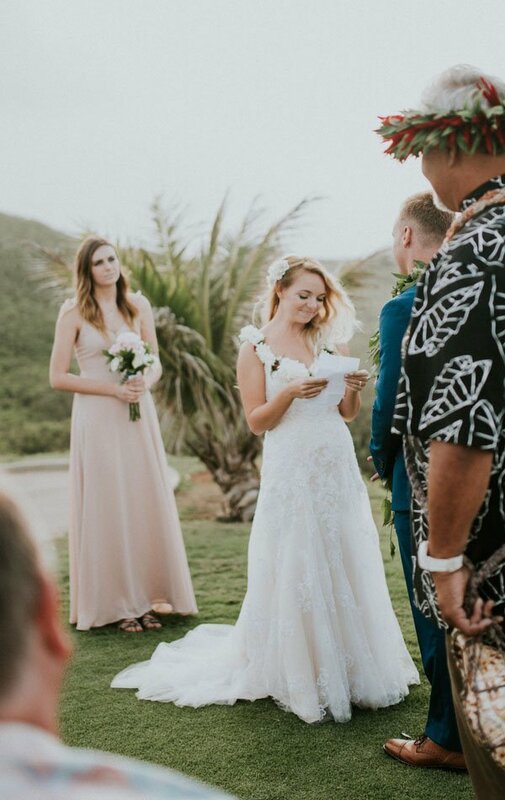 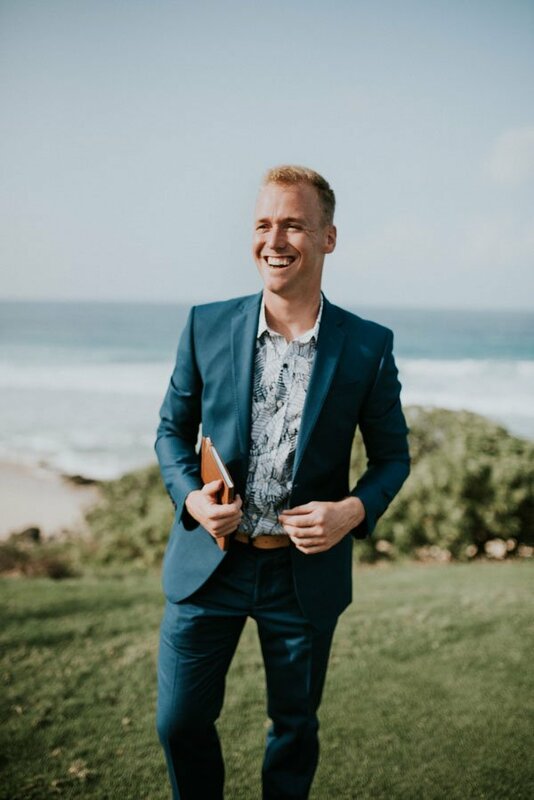 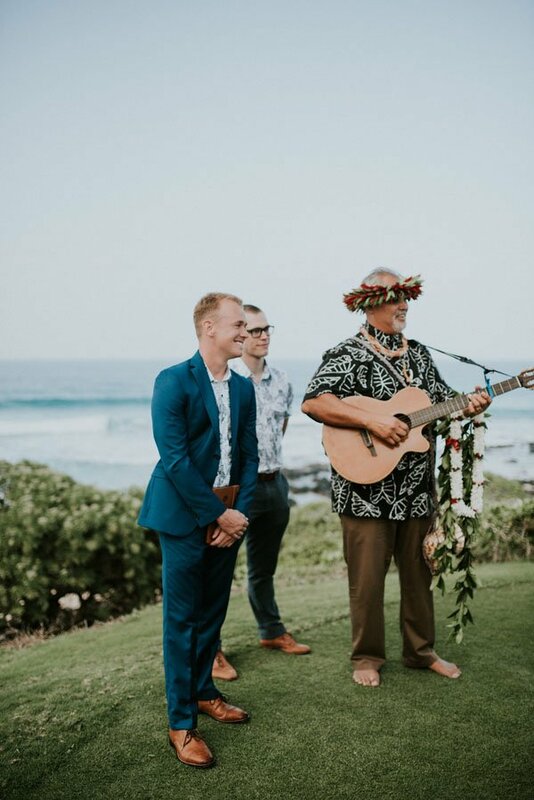 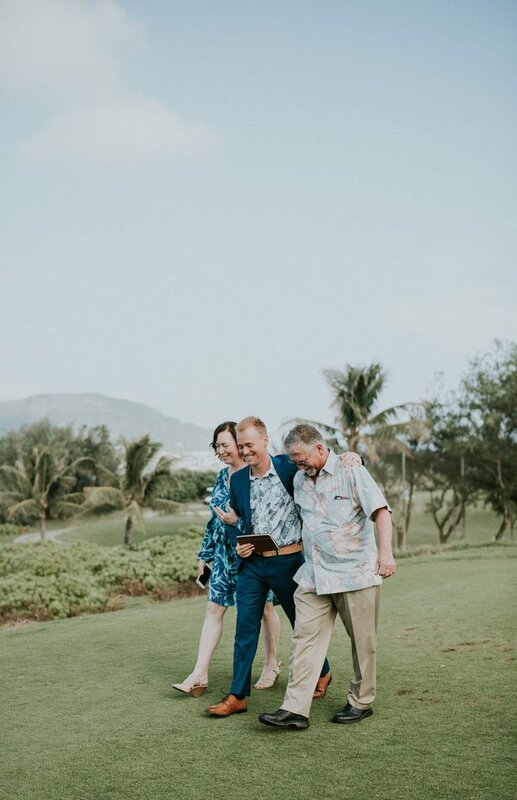 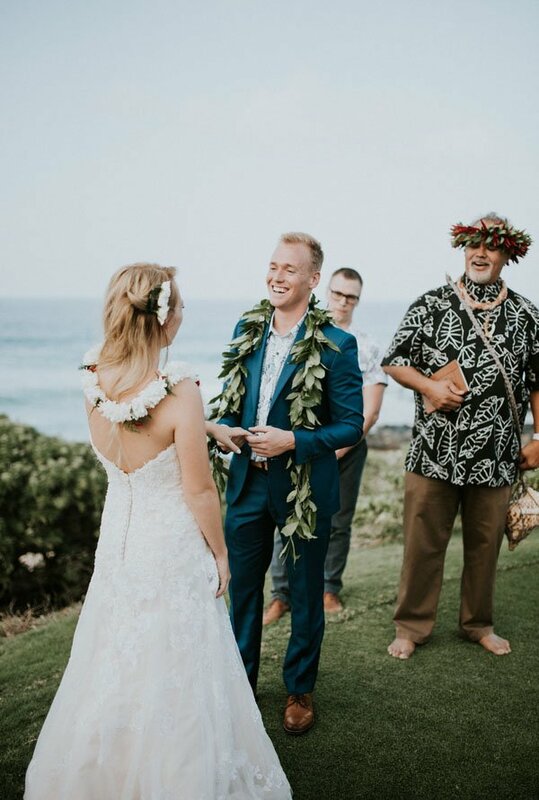 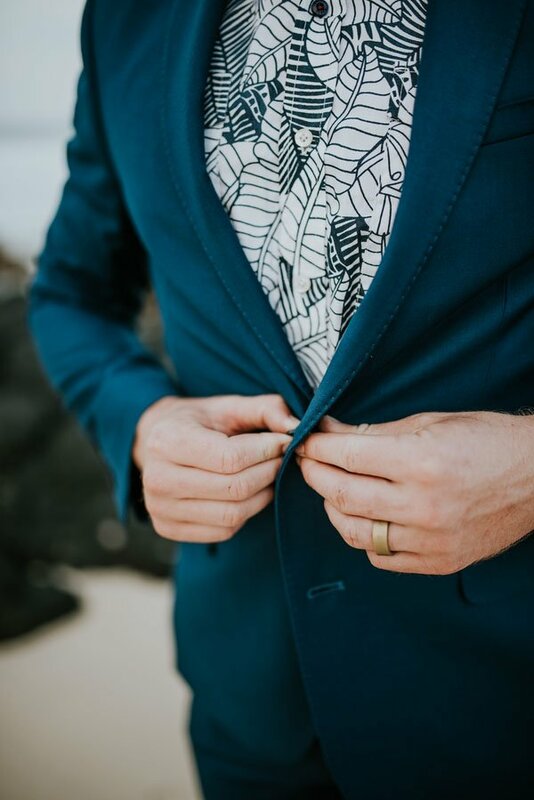 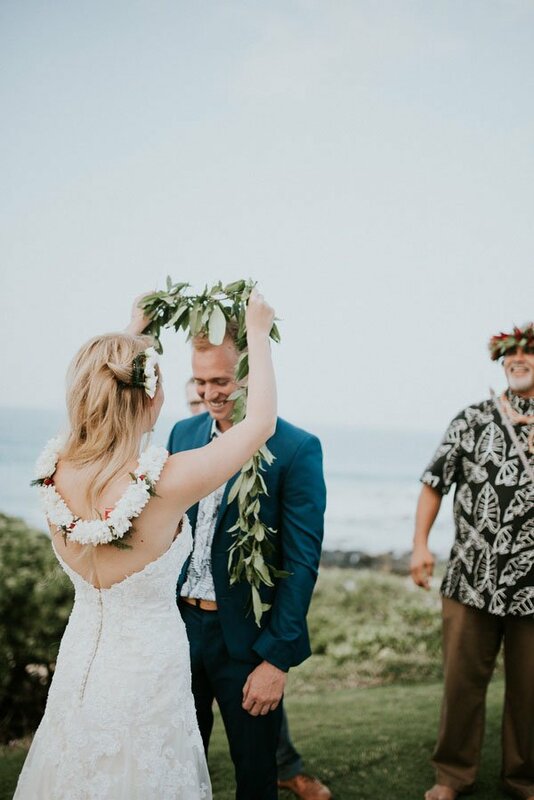 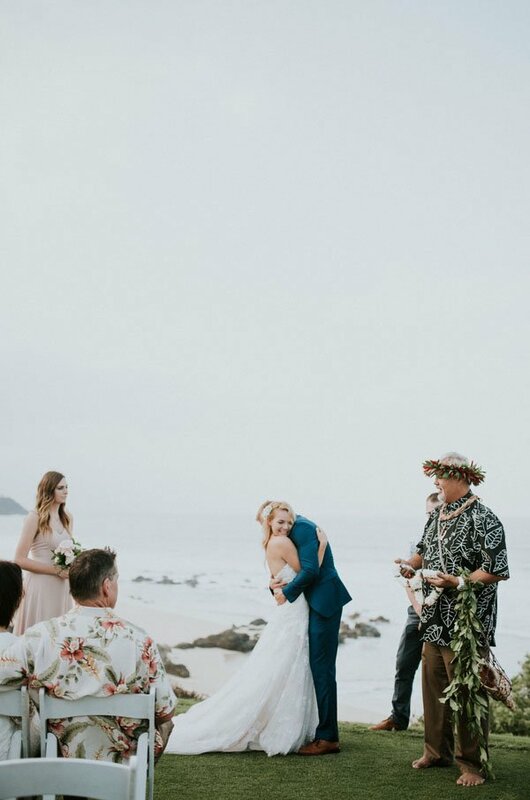 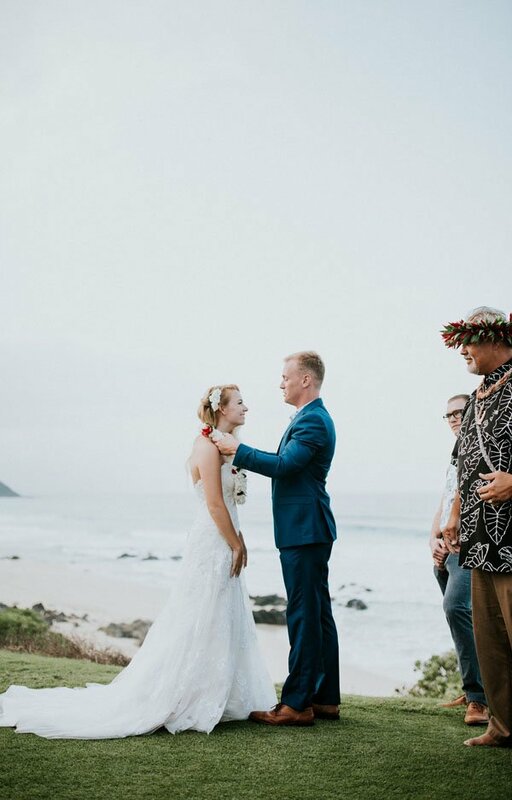 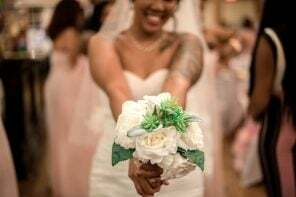 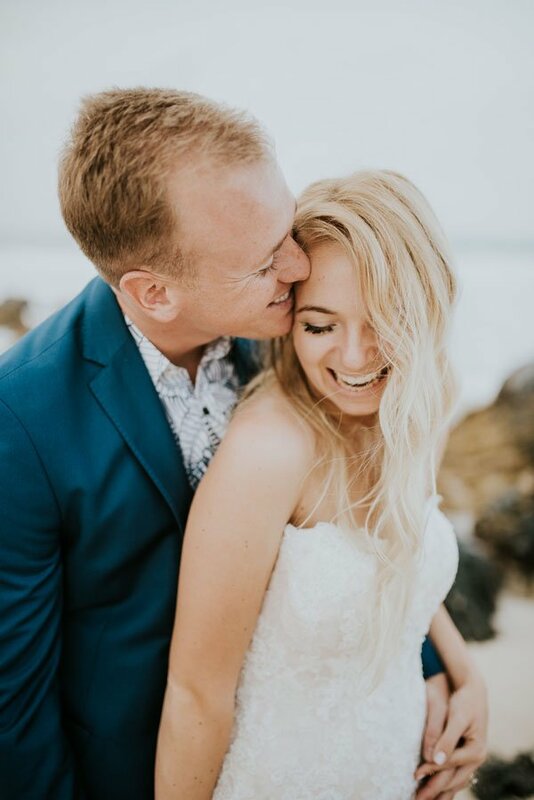 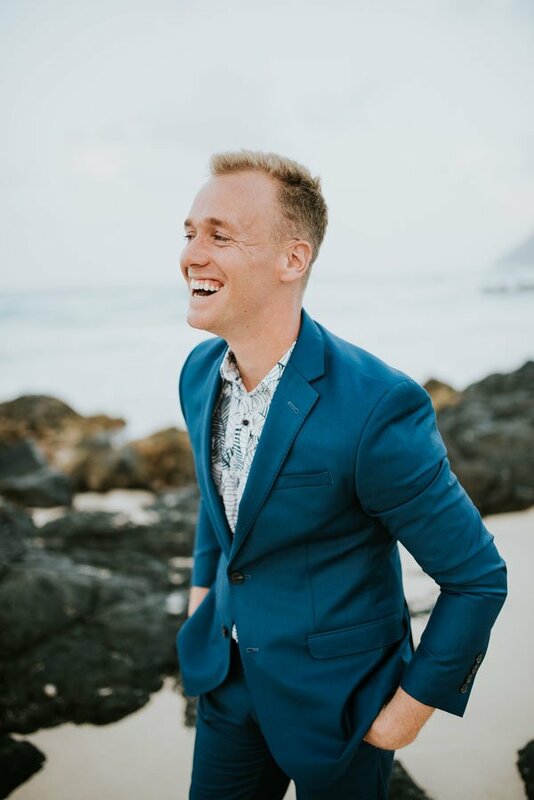 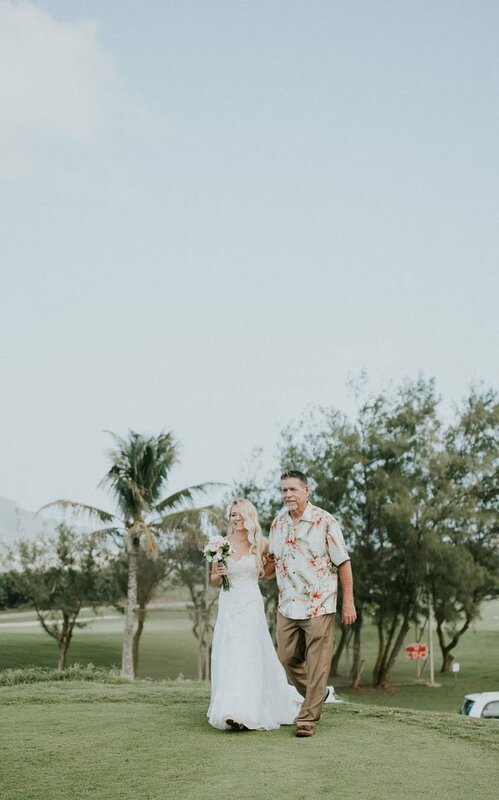 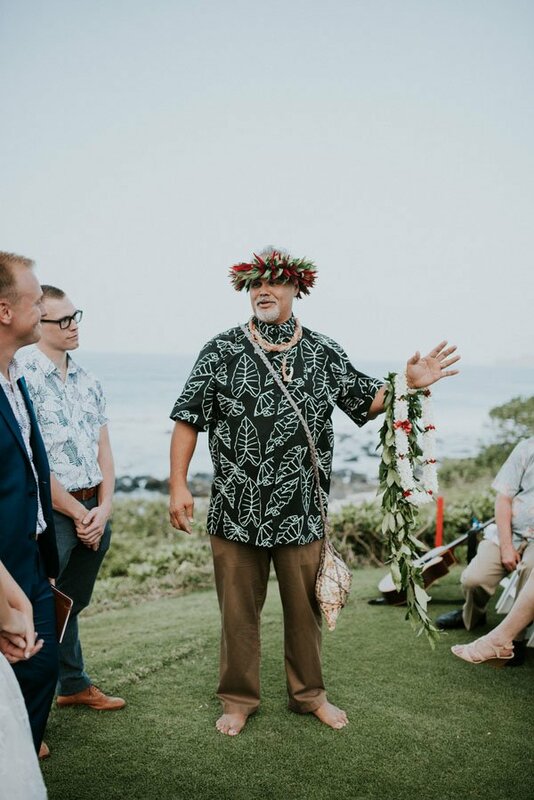 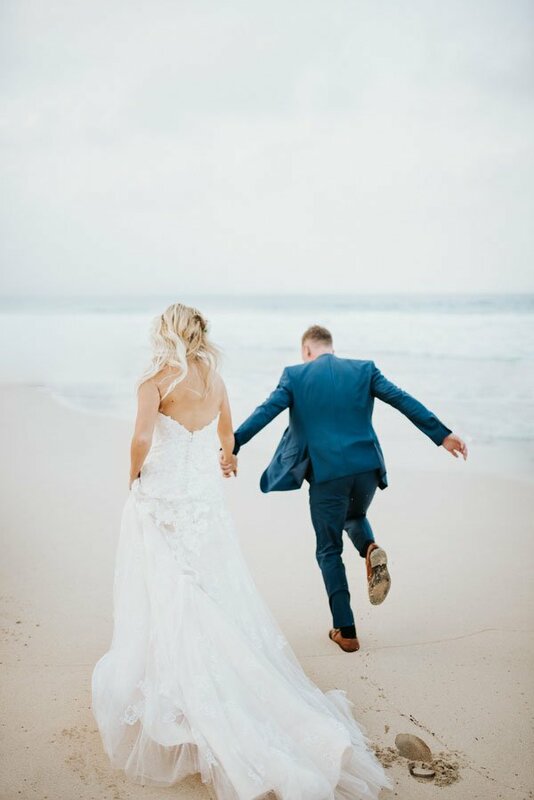 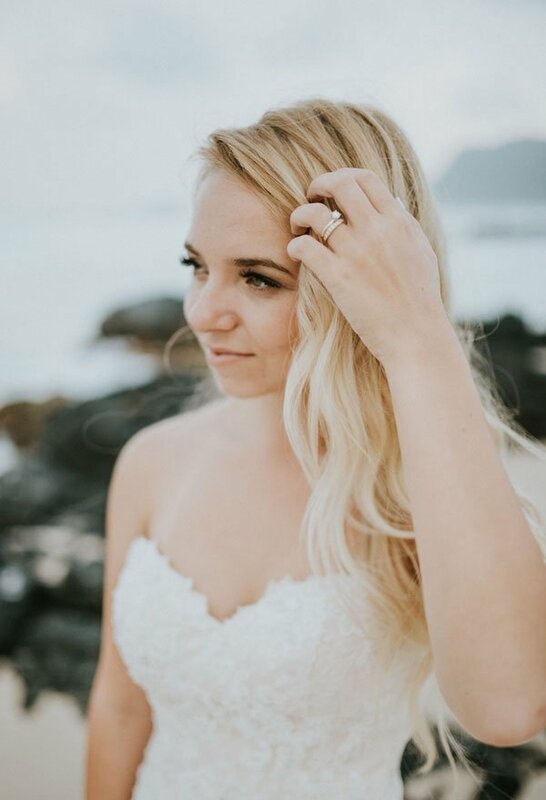 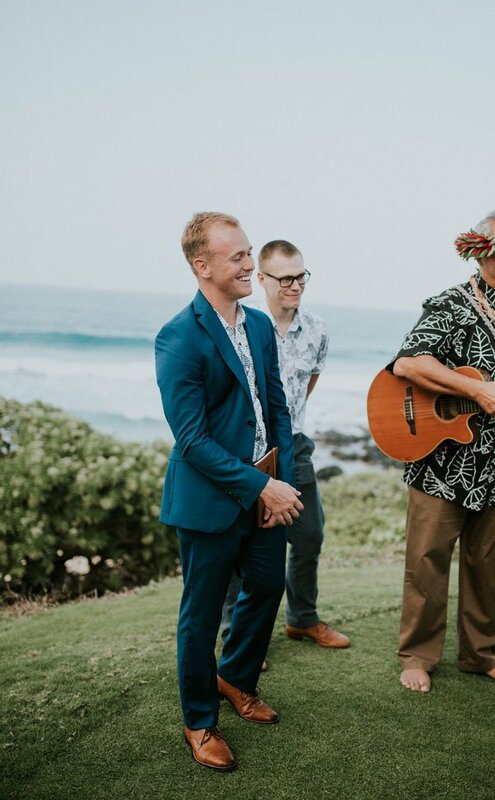 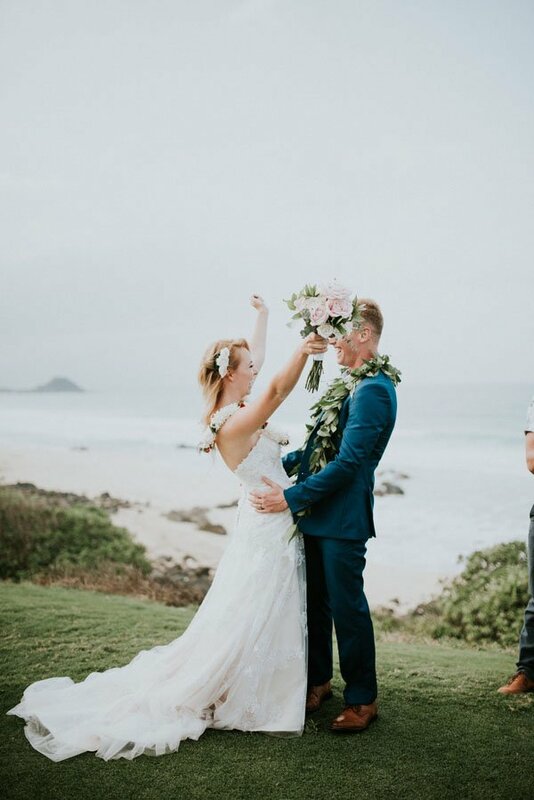 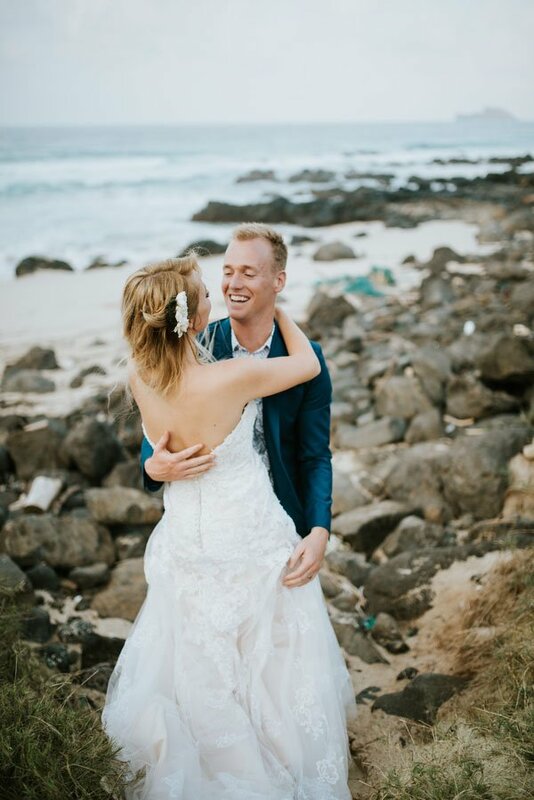 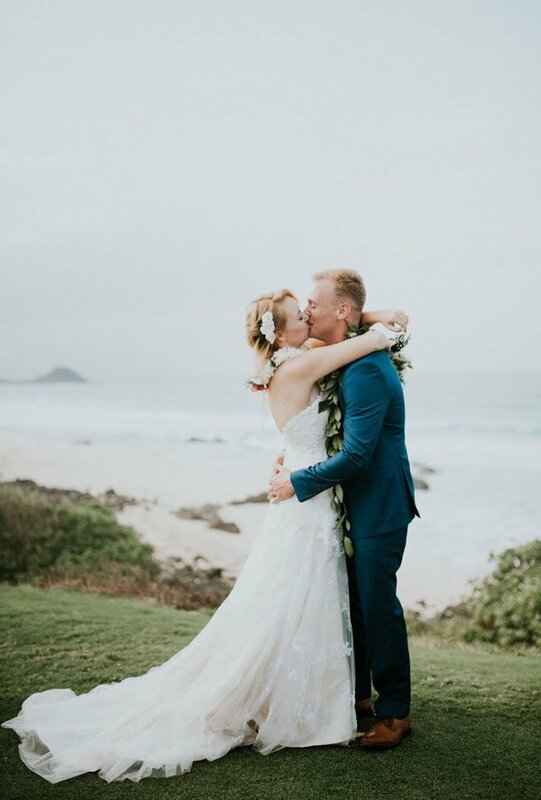 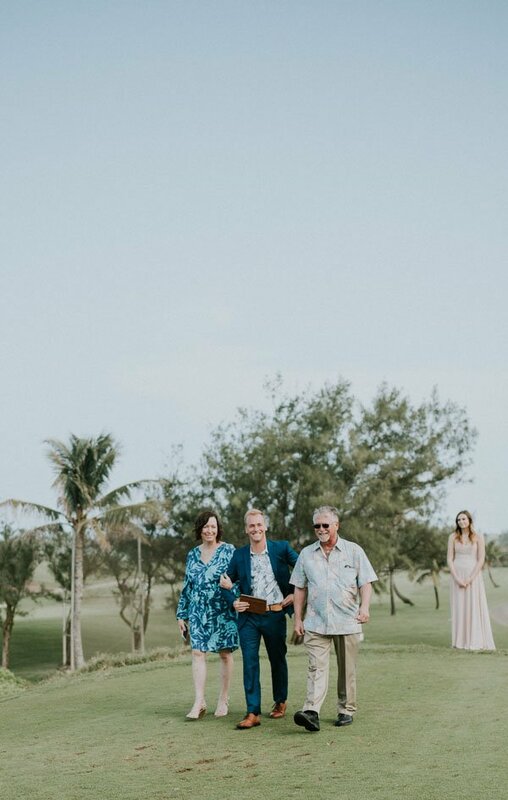 From the private Oahu ceremony location overlooking the sea, to the groom’s style and the bride’s picture-perfect wedding dress, this wedding definitely leaves a smile on or face. 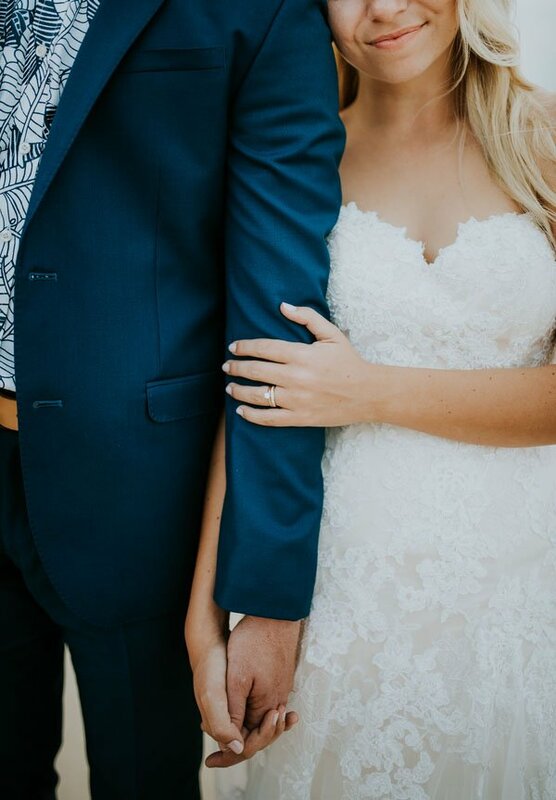 “Tatum and Jack are one of those couples who just take each day as it comes. 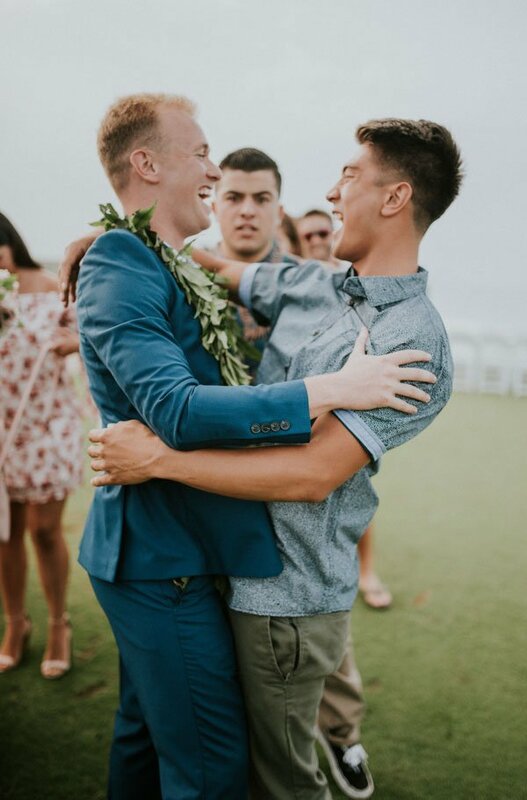 Since Jack is a marine, they truly don’t take any days together for granted, so a big wedding wasn’t a necessity for them. 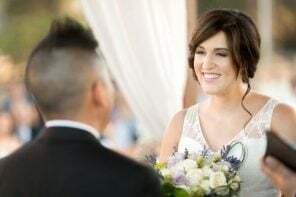 The bride got her dress from craigslist, made her bouquet herself, and was even her own makeup artist. 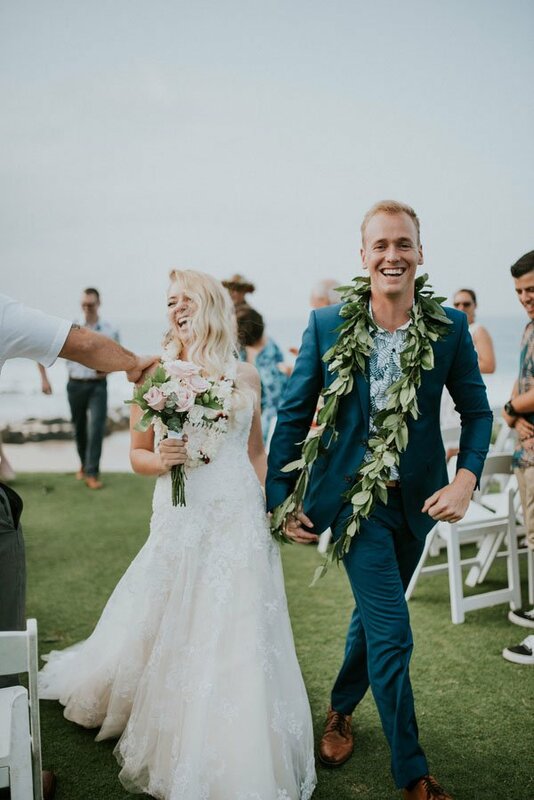 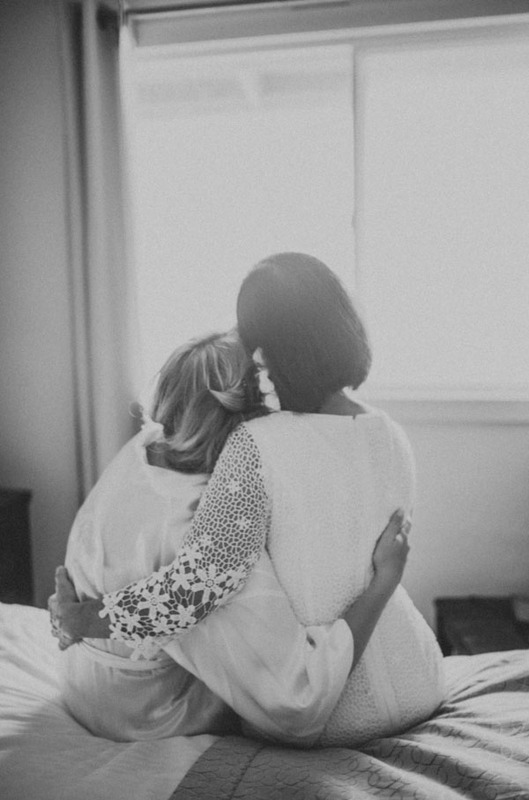 They are one of the truest examples of how all you need is each other and your closest friends and family to have a perfect wedding day. 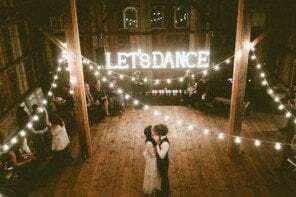 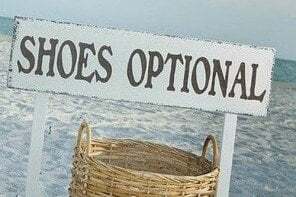 Definitely something we all should remember when getting stressed out with the hustle and bustle of planning a wedding.